How do we use our mental images of the present to reconstruct our past? Maurice Halbwachs (1877-1945) addressed this question for the first time in his work on collective memory, which established him as a major figure in the history of sociology. This volume, the first comprehensive English-language translation of Halbwach’s writings on the social construction of memory, fills a major gap in the literature on the sociology of knowledge. Halbwachs’ primary thesis is that human memory can only function within a collective context. Collective memory, Halbwachs asserts, is always selective; various groups of people have different collective memories, which in turn give rise to different modes of behavior. Halbwachs shows, for example, how pilgrims to the Holy Land over the centuries evoked very different images of the events of Jesus’ life; how wealthy old families in France have a memory of the past that diverges sharply from that of the nouveaux riches; and how working class construction of reality differ from those of their middle-class counterparts. With a detailed introduction by Lewis A. Coser, this translation will be an indispensable source for new research in historical sociology and cultural memory. Lewis A. Coser is Distinguished Professor of Sociology Emeritus at the State University of New York and Adjunct Professor of Sociology at Boston College. Back by popular demand, this is the newly revised edition of the definitive classic survey on cylinder seals in the Ancient Near East. The most comprehensive book on the subject to date, this essential text features an incredible 1000 highly detailed illustrations, all highlighting the intricate nature and fascinating purpose of these remarkable tools of the past. The author looks at their use over 3,000 years and discusses the information they provide on religion, design and all aspects of daily life for the period in which they were created, from about 3300 to 300 BC. This book fully recognizes the aestheticism inherent in historical writing while acknowledging its claim to satisfy the demands of rational and scientific inquiry. Focusing on the notion of representation and on the necessity of distinguishing between representation and description, it argues that the traditional semantic apparatus of meaning, truth, and reference that we use for description must be redefined if we are to understand properly the nature of historical writing. The author shows that historical representation is essentially aesthetic, though its adequacy can be discussed rationally. He defines the criteria for representational adequacy, and examines the relationship between these criteria and value judgments. He also investigates the historicist conception of historical writing and the notions of identity and narrativity. This investigation takes place against the backdrop of the ideas of four of the most influential contemporary historical theorists: Erich Auerbach, Arthur Danto, Hayden White, and Jörn Rüsen. The book aims to identify and to explore for historical theory the juste milieu between the extravagances of the literary approach to historical writing and the narrow-mindedness of empiricists. The search for this juste milieu leads to a rationalist aesthetics of historical writing, a position that repeats both the aesthetic dimension of all historical writing and the criteria defining the rationality of the discipline of history. Hayden White probes the notion of authority in art and literature and examines the problems of meaning-its production, distribution, and consumption-in different historical epochs. In the end, he suggests, the only meaning that history can have is the kind that a narrative imagination gives to it. The secret of the process by which consciousness invests history with meaning resides in “the content of the form,” in the way our narrative capacities transform the present into a fulfillment of a past from which we would wish to have descended. 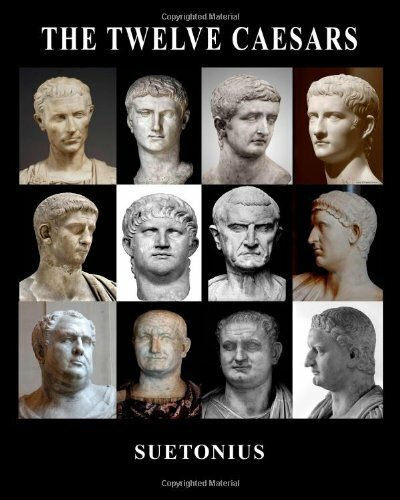 Suetonius’ classic treatise on the lives of the first twelve emperors of the Roman Empire. These questions were posed by Paul Gauguin in a famous canvas painted in Tahiti that heralded the beginning of the modernist era. But they are also the questions asked by modern prehistorians in their quest to reconstruct the human story. In Figuring It Out, Colin Renfrew investigates the profound convergence between the two disciplines, drawing illuminating parallels between the way the modern artist seeks to understand the world by acting upon it, and the way the archaeologist seeks to understand the world through the material traces of such actions. What does the “sapient paradox”—the fact that 30,000 years passed before anatomically modern humans began to change their world—have to tell us about the unfolding of the history of our species? Why do we now find Cycladic sculpture beautiful when, merely a century ago, such work would not have been thought suitable for display in an art museum? And how is it that, in the light of Marcel Duchamp’s revolutionary gallery-based gestures, the prehistoric footsteps at Laetoli have been admitted as art too, albeit of an involuntary kind? Professor Renfrew uses these questions as a springboard for his examination of the history of the human condition, a subject that can only be properly understood, he argues, through the idea of process, of Homo sapiens’ active material engagement with their world. Central to his exploration is a group of leading contemporary artists, including Richard Long, Mark Dion, Antony Gormley, Eduardo Paolozzi, and David Mach, whose works are notable for just such an engagement with their physical surroundings. Figuring It Out takes sculpture off the plinth and archaeology out of the trench, and situates the contemporary artist and archaeologist together at the center of an active endeavor to re-evaluate what it is to be human. This book examines one of the most important and intriguing themes in art today: the often obsessive relationship between artist and museum. From Marcel Duchamp’s “Portable Museum” (Boîte en valise) of the early 1940s to Damien Hirst’s distinctive use of vitrine displays in the 1990s, the artists of the past seventy years have often turned their attention—both creatively and critically—to a reappraisal of the ideas and systems of classification traditionally associated with curatorship and display. The works included here, accompanied by quotations from the writings of individual artists, offer a wide-ranging coverage of projects by established and emerging figures alike, including Christian Boltanski, Sophie Calle, Tracey Emin, Hans Haacke, Donald Judd, Olafur Eliasson, and Takashi Murakami. The book has been updated to include recent projects that make use of grand architectural spaces within the museum, as well as those that explore off-site locations and the internet. Benjamin’s essay ‘Work of Art’ sets out his boldest thoughts on media and on culture in general. It is collected here with other essays, as he tackles film, radio, photography, and the modern transformations of literature and painting. This is an anthology of writings on exhibition practice from artists, critics, curators and art historians as well as artist-curators. It addresses the contradictions posed by museum and gallery sited exhibitions, as well as investigating the challenge of staging art presentations, displays or performances in settings outside of traditional museum or gallery locales. This volume presents Mark Dion’s most recent work, which largely comprises the digs he has been concerned with in Italy, Switzerland, and London (including the Tate Thames Dig Beachcombing on London’s Foreshore). The book provides a preface to each of these projects by the artist, and showcases much of his previously unpublished work. In addition, a text by Alex Coles frames Dion’s current projects. Further texts from the diverse lecture programme currently taking place at the Tate Gallery in conjunction with Tate Thames Dig elucidate the artist’s work. The term ?temporality’ often refers to the traditional mode of the way time is: a linear procession of past, present and future. As philosophers will note, this is not always the case. Christine Ross builds on current philosophical and theoretical examinations of time and applies them to the field of contemporary art: films, video installations, sculpture and performance works. Ross first provides an interdisciplinary overview of contemporary studies on time, focusing on findings in philosophy, psychology, sociology, communications, history, postcolonial studies, and ecology. She then illustrates how contemporary artistic practices play around with what we consider linear time. Engaging the work of artists such as Guido van der Werve, Melik Ohanian, Harun Farocki, and Stan Douglas, allows investigation though the art, as opposed to having art taking an ancillary role. The Past is the Present; It’s the Future Too forces the reader to understand the complexities of the significance of temporal development in new artistic practices. Radical Nature is a major exhibition bringing together artists across different generations who have created utopian works and inspiring solutions for our ever-changing planet. The beauty and wonder of nature have provided inspiration for artists and architects for centuries. Since the 1960s, the increasingly evident degradation of the natural world and the effects of climate change have brought a new urgency to their responses. The exhibition and this accompanying book draw on ideas that have emerged out of Land Art, environmental activism, experimental architecture and utopianism. Works by pioneering figures such as the architectural collective Ant Farm and visionary architect Richard Buckminster Fuller, artists Joseph Beuys, Agnes Denes, Hans Haacke and Robert Smithson are presented alongside pieces by a younger generation of practitioners including Heather and Ivan Morison, R&Sie (n), Philippe Rahm and Simon Starling. Published on the occasion of the exhibition Radical Nature at Barbican Art Gallery, London, 19 June – 18 October 2009. English text. Oxford Approaches to Classical Literature (Series Editors: Kathleen Coleman and Richard Rutherford) introduces individual works of Greek and Latin literature to readers who are approaching them for the first time. Each volume sets the work in its literary and historical context, and aims to offer a balanced and engaging assessment of its content, artistry, and purpose. A brief survey of the influence of the work upon subsequent generations is included to demonstrate its enduring relevance and power. All quotations from the original are translated into English. Ovid’s Metamorphoses have been seen as both the culmination of and a revolution in the classical epic tradition, transferring narrative interest from war to love and fantasy. This introduction considers how Ovid found and shaped his narrative from the creation of the world to his own sophisticated times, illustrating the cruelty of jealous gods, the pathos of human love, and the imaginative fantasy of flight, monsters, magic, and illusion. Elaine Fantham introduces the reader not only to this marvelous and complex narrative poem, but to the Greek and Roman traditions behind Ovid’s tales of transformation and a selection of the images and texts that it inspired. Provides a broad and dedicated analysis of this canonical work and its effect upon core contemporary concerns in the visual arts, and the history of philosophy.